For more than 55 years, Mastria Auto Transport has been pleased to offer expert car shipping and towing. Whether you work for a dealership, are an individual with a car to ship or are seeking a reliable towing service, you can turn to Mastria Auto Transport for professional, efficient service. We move over 500 cars every month all over the U.S., making us a top choice for consumers nationwide. We'll gladly manage your vehicle shipment for the right price, and on time. Because our primary concern is your vehicle's safety, you can trust us to take care of your shipment the right way. It's easy to get started by booking your vehicle's journey online. From there, our courteous staff will use the most technologically advanced services available, such as satellite tracking, to ensure your vehicle's security every step of the way. We're confident that we can help you move any vehicle to any place you need it in the U.S., so come get your free quote online today! If you're a car dealer or you work for a dealer in need of a reliable shipper, Mastria Auto Transport is the right place to turn to! We have preferred pricing for auto shipping quotes and a reputation that dealers trust. We'll ship nationwide and to Canada, and deliver vehicles right to customers' doors so you get the peace of mind that comes with knowing they're fully satisfied. It doesn't matter whether you're shipping a car, truck, SUV or minivan, we'll take care of it from start to finish. 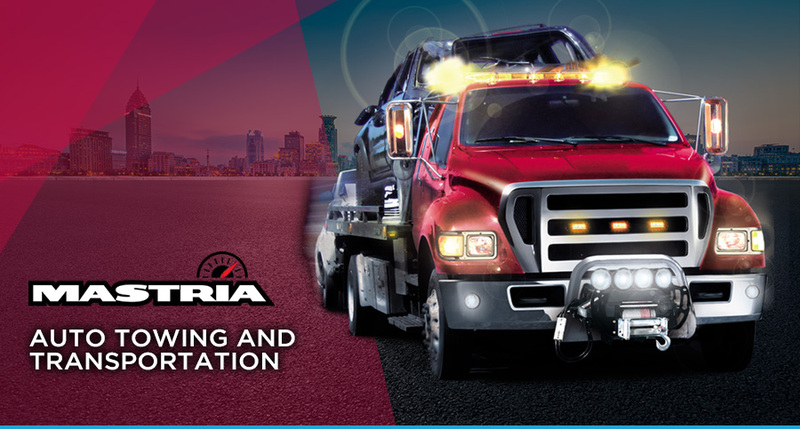 In addition to shipping vehicles nationwide, Mastria also offers towing and recovery services. Mastria Towing & Recovery is a professional collateral recovery agency based in Raynham, MA, that offers towing and repossession services to the lending community throughout Massachusetts and Rhode Island. We're fully licensed, bonded and insured, and we're properly equipped to recover a variety of assets including vehicles, motorcycles and boats. We're also a member of the Allied Finance Adjusters, which means we're covered by the Allied Client Protection Bond of $1 million. To learn more, get in touch with our towing and recovery center in Raynham, MA!